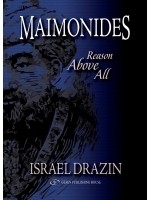 This thought-provoking and enlightening book uncovers unknown but true facts about Maimonides,his family,and his unique,often controversial, but brilliant ideas.The reader is introduced to Maimonides’ family, people who generally failed to share his rational approach to life. believe that God has a body? as having sexual relations or giving charity? suicides committed in its pages? practices and say mystical prayers? Rabbis suggest that Moses’ staff had unusual magical powers.